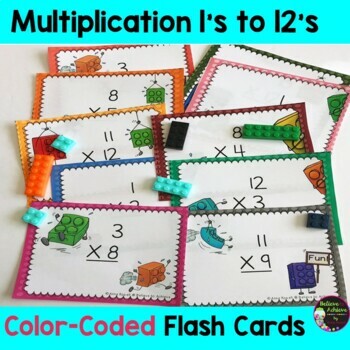 Are you tired of sorting through multiplication flash cards to find just one set of facts? This resource is the perfect solution! I've created 12 sets of cards (one set for each times tables from 1's to 12's) that are color coded by sets with a fun building block theme! So, if a student needs to work on the 6's times table, just give him/her those to work on! 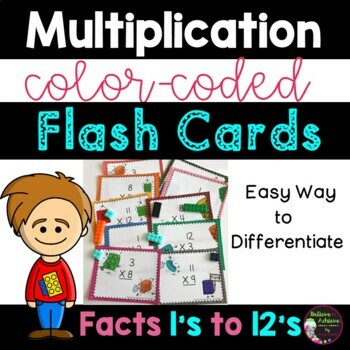 No more digging through store bought sets of flashcards to pull out just one fact set!